NOT Kent but Oxsted, SURRY. 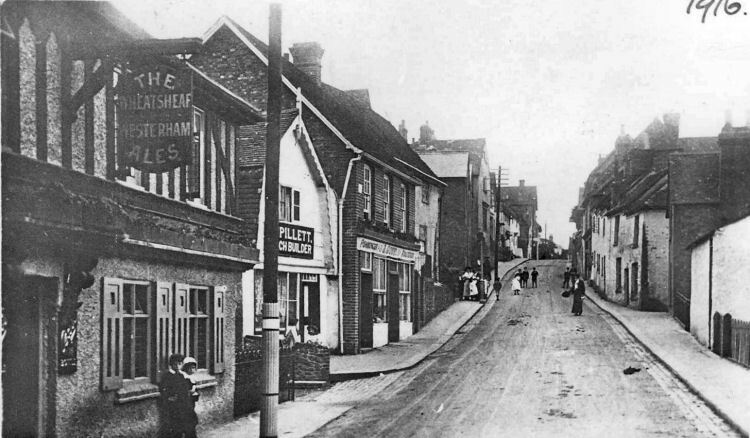 Above photo of the Wheatsheaf, dated 1916, but as yet the location in Kent is unknown. Help required. Above photo kindly sent by Peter Moynahan. From an email received 20 March 2014. 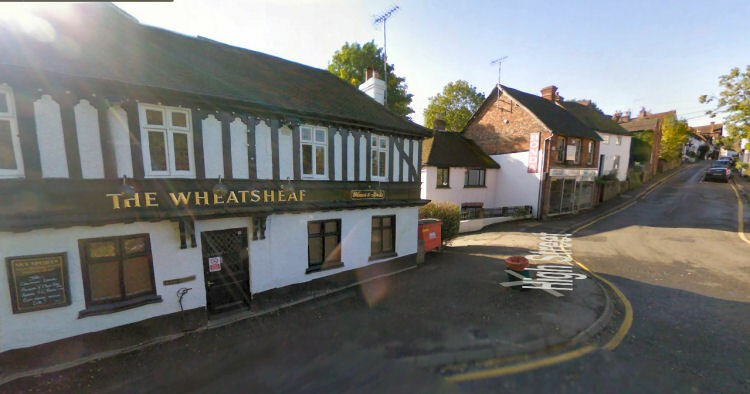 The above pub looks like the "Wheatsheaf" in Oxsted, Surrey. Above image taken from Google, 2013.